Take 10 minutes BEFORE meals and mix with a little water or fruit juice to taste. Make certain that you are drinking at least 8-10 glasses of mineral water (or filtered tap water) daily – more if you are living in a hot climate. Sensitive individuals with weak detoxification organs can start on 25 drops 3 times a day and increase this dose each day by one drop until they have reached the optimal dose. If you are a smoker, have amalgams, have or have had cancer; or have a weak liver or kidneys, we strongly recommend you follow our ULTIMATE DETOX PROGRAM. This can be mixed into the same glass as the HMD and taken together 10 minutes before meals. To be taken with a glass of water or juice with meals. Children of any age can safely take HMD. The following dosages are based on weight, but these can be adjusted according to your health practitioner’s advice. With infants and young children, it is imperative that the parents work with a health practitioner experienced in detoxification. We recommended that you begin with only one drop of the HMD before food and watch for any reactions – this is an initial test to see if your child may be allergic to any of the ingredients that it contains. Some children are very sensitive to certain herbs or may have compromised detoxification pathways, so it is important to err on the side of caution and test. It is then easy to increase the dosage by one drop x 3 daily, every couple of days until reaching the optimum dosage. Children must be encouraged to drink as much pure water as they can manage, in order to safely flush out the heavy metals. Children should take the following number of drops 3 times per day, 10 minutes before meals. The HMD should be mixed with a little water or fruit juice, to taste. At these dosages, children can take the HMD for 3 months or more without any undue stress on their detoxification pathways. For very toxic children with known heavy metal toxicity, these dosages can be decreased under the supervision of a health practitioner who is knowledgeable in heavy metal detoxification. 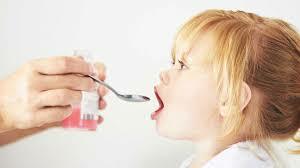 Children should take the following number of drops 3 times per day, 10 minutes before meals. The Lavage can be mixed in the same glass as the HMD. 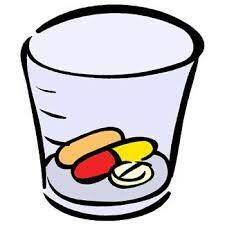 These are capsules, but can be opened and placed in juice for children.